Just a few of our faves! 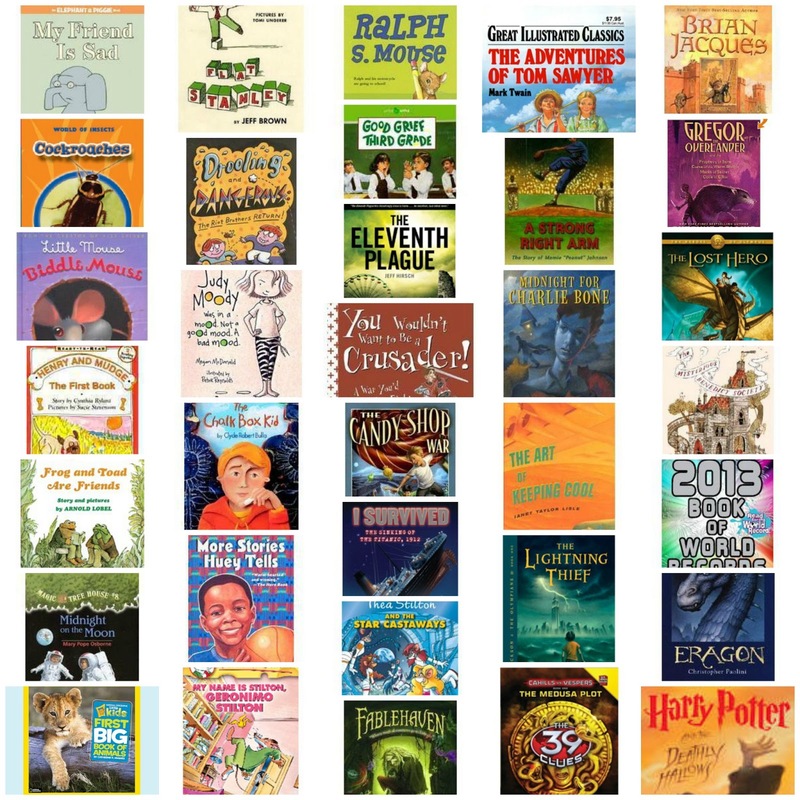 My boys love to read, and in anticipation of summer, I thought I would make a list of our favorite and our friends' favorite books for boys. The list starts from early readers (Kindergarten) and goes all the way up to teen fiction. All of the books on this list have been read and recommended by boys with varied interests of many ages and reading levels. Includes both fiction and non-fiction. Hope you find a new favorite! There are two items next to the book listed. The first is interest level...this is IN GENERAL the youngest someone might enjoy the book,. That being said, my boys certainly have been able to enjoy many books listed over their interest level and plenty of books under their interest level too. It is a great guide though, especially if you have a reader that is advanced or behind for his grade level. To summarize for an average reader's ability: Kindergarten (A-C), Grade 1 (C-I), Grade 2 (J-M), Grade 3 (M-P), Grade 4 (Q-S), Grade 5 (T-V), Grade 6 (W-Y), Grade 7-8 (Z). *I am part of the Amazon Affliliate program. If you like these suggestions, I would love it if you purchased them from my links! I would love to grow this list. What other books have your boys loved at any age or level? Interested in teaching your little ones how to read? Click here. Want to know how to keep your kids reading? Click here. Looking for book recommendations for you? Click here.